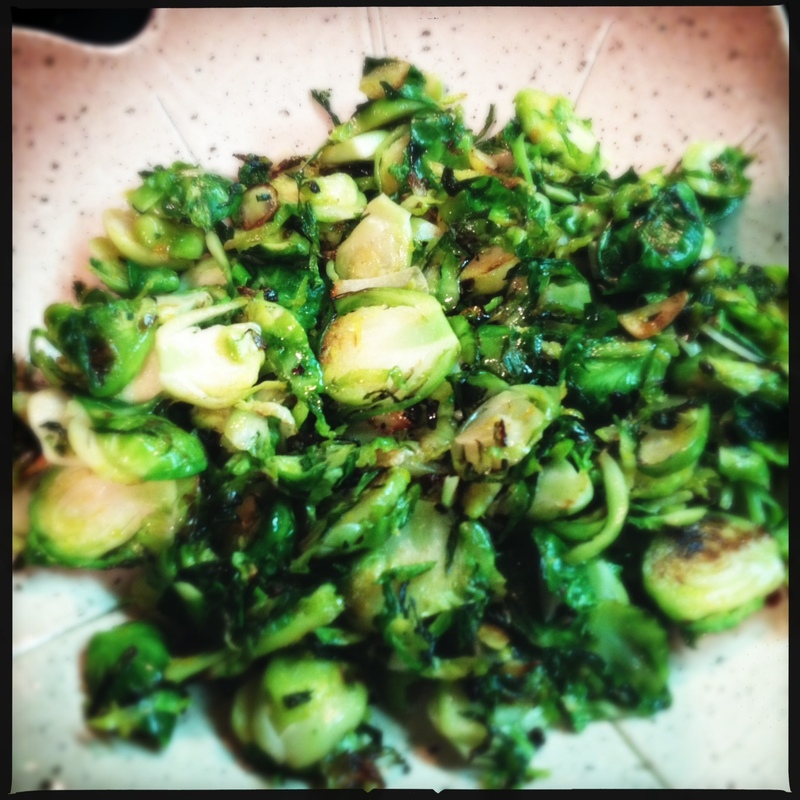 this is a stupid simple way to make brussels sprouts for a side dish, and is much quicker than roasting them in the oven. 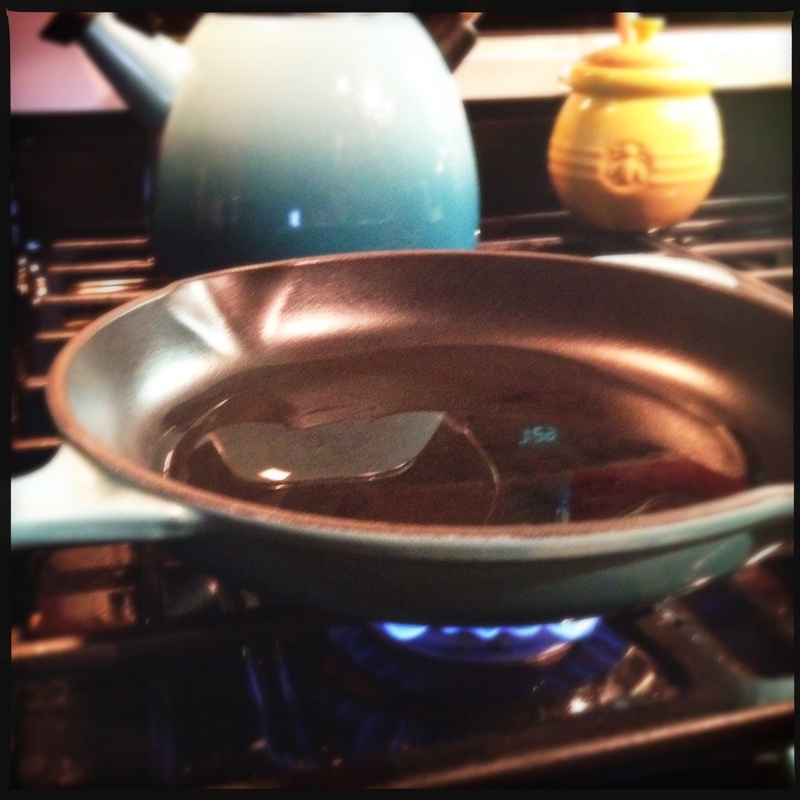 heat enough olive oil to coat the bottom of your pan over medium-high until hot. 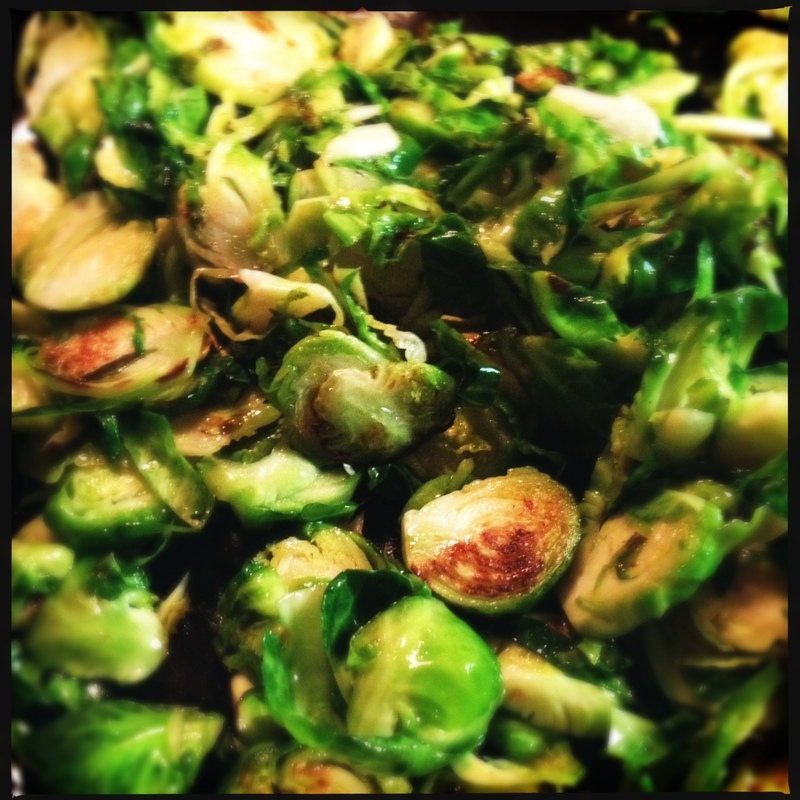 add the brussels sprouts and garlic to the pan, and sauté until soft and browning a bit, about 3-5 minutes. add zest and tarragon, and toss to combine. add s+p to taste. plate and squeeze lemon wedge over the top. the lemon and tarragon brighten this winter vegetable up without losing it’s heartiness. That looks great. 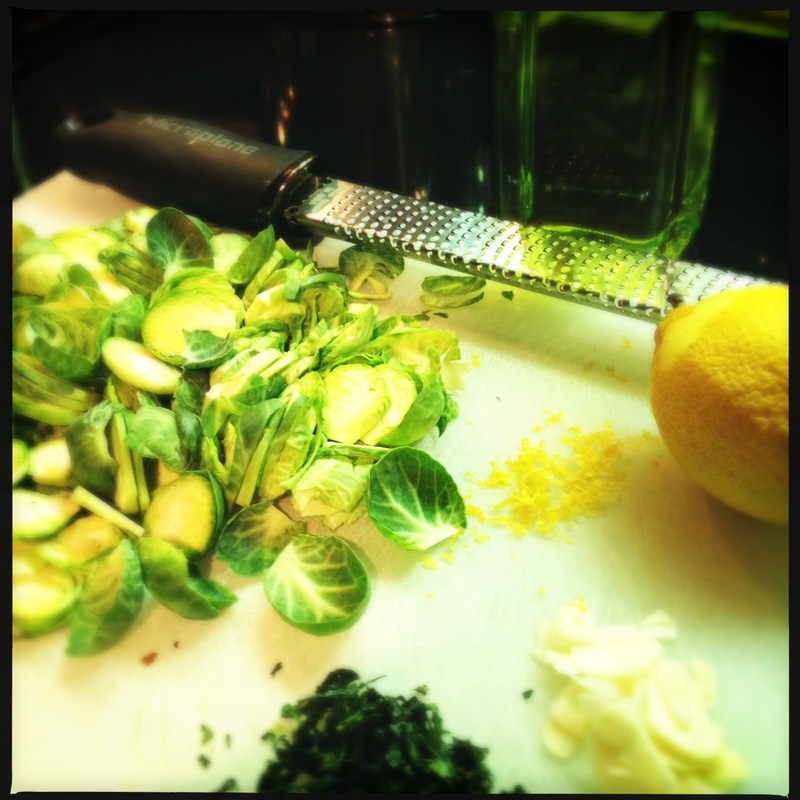 I made a raw shaved salad with Brussels sprouts the other day–even faster! i keep meaning to do that too. 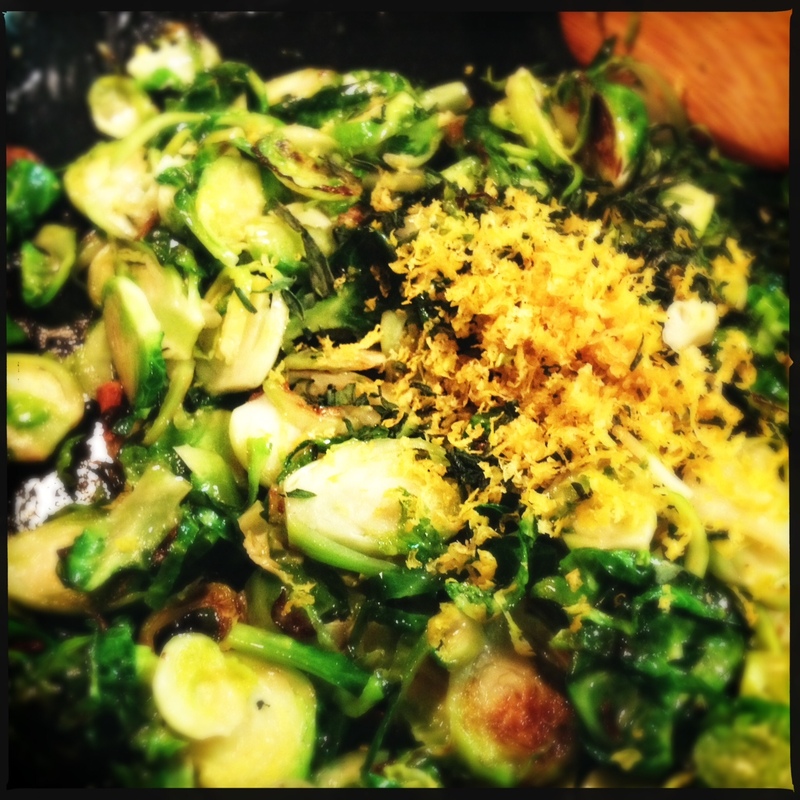 i was just thinking a little lemon, olive oil, shaved parmesan and s+p? how did you make yours? looks great! i’ll try it next time. thanks! I made these for our Easter dinner and everyone loved them. I should have made more because they were gobbled up in a flash.